Dell is the world’s largest Laptop, Desktop and workstation seller has brought a great offer for the students and their parents. 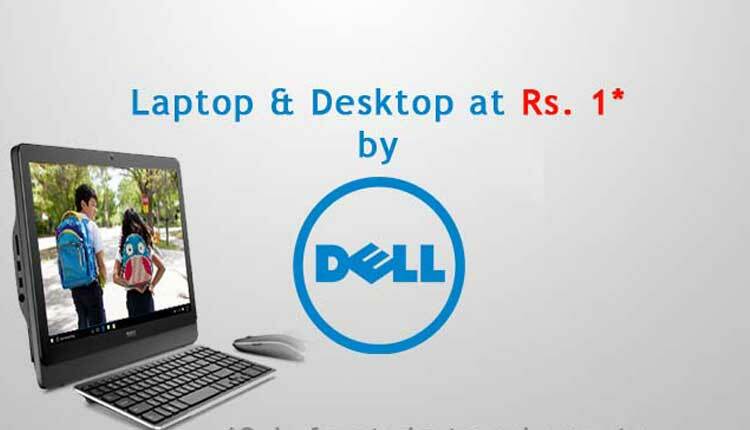 Now you can purchase Dell’s laptop or the desktop at Rupees 1 all you need to go to the nearest Dell’s store along with Rs. 1 and required document or can order online from the official website of the Dell at http://www.dellbacktoschooloffer.com. Under the scheme “Back to School” Dell has started this initiative where one can buy a new desktop or the laptop only at 1 rupee and the rest of the payment can be made later in the form of EMI (Equated Monthly Instalment) and that’s without any interest or extra payment. This scheme by Dell could be a dream coming true for many of the people who were not in the stage of buying computer for themselves. In fact, this initiative, “Back to school” already has supported a lot of students from B. Tech, BCA, B.Sc. (IT) background and were not having computer to learn more out of what they were taught at college. You can purchase this laptop online from http://www.dellbacktoschooloffer.com or can visit the nearest Dell Store or registered retail shop. What is eligibility and required documents? All Students and parents are eligible for this offer. Thank you for reading. Have a good day/night!